Santa Monica is one of the most popular tourist destinations of Southern California, offering beautiful beaches and famous piers with plenty of entertainment for all. Located in Los Angeles, Santa Monica is home to over 3.5 miles of coastline and 8.3 square miles of beautiful walkways and hiking trails. It famously marks the end of Route 66, where you can view a historic sign highlighting the historic trail. This laid-back beach city hosts hundreds of shops, hotels, restaurants, and entertainment venues year-round. In fact, the outdoor recreational opportunities available in Santa Monica are always expanding. The famous La Monica Ballroom on the Santa Monica Pier is one of the largest ballrooms in the United States, and the city is home to the Santa Monica Looff Hippodrome, which is a National Historic Landmark. This carousel can be ridden all year round! With several popular musical venues, street entertainment opportunities, and shopping options, Santa Monica continues to expand for tourists and residents alike. The city’s crime rate runs lower than the national average, with school systems ranking higher than the national average. Overall, due to the lower per-capita crime rate and the variety of growth occurring throughout the community, Santa Monica is a wonderful place for new residents and businesses. There are almost 90,000 residents of Santa Monica, and the majority of them live in condos or neighborhoods with HOAs. Real estate development is growing, with many opportunities to expand into neighboring cities like Beverly Hills and Hollywood. Most of the roofing needs in Santa Monica are for HOA housing and condos. HOA and multi-family roofing require more consideration than traditional residential roofing, which is why our contractors pay special care to these special situations. 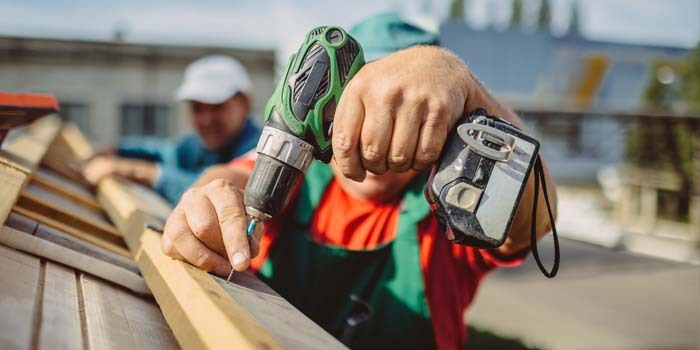 Construction and renovation of HOA homes typically need several meetings and consultations to ensure that the job is done right. When it comes to HOA and multi-family roofing needs, you want the most experienced contractors for the job. Our levels of experience and expertise are unmatched. We can provide many families in the Santa Monica community with unique roofing solutions to keep your home protected. And don’t worry, we’re licensed to the tee. You should never trust a contractor who can’t provide the proper licenses and certifications necessary to prove their expertise. All of our contractors possess the utmost professionalism when it comes to providing proper care for your roof. Adco Roofing can provide proof that we are licensed and insured – just ask us when you see us! Santa Monica is a widely popular and deeply historic town, and its neighborhoods are ever expanding. We want to make sure we keep in line with that classic Southern California style while offering the best in quality and service. Our roofing services will provide you with materials that are built to last. It is our passion and our mission to establish a great working relationship with you, and we are committed to giving you the best service possible.